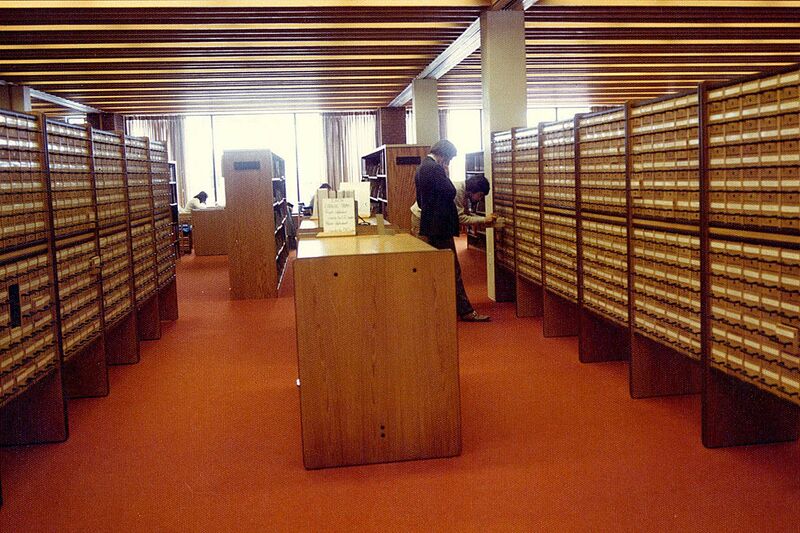 Cooperation that began on a low key in 1977 hit a high note today when Ladd Library and its counterparts at Bowdoin and Colby unveiled an improved online catalog. Given the reputation of the CBB colleges as competitors, the most intriguing aspect of the new CBBcat might be that collaboration is at its core, says Laura Juraska, an associate librarian at Ladd Library. Instead of drawing from separate databases at each college, the new CBBcat draws from a single shared database. “The back-end change of going to a single database is a strong affirmation of CBB library cooperation,” says Juraska, who oversees reference services. Another benefit is that users can target a search specifically to one of the three libraries. Still another is being able to browse, in a virtual sense, a shelf of books from all three colleges, neatly arranged by their call numbers, thus taking advantage of collections that the three libraries now regard as one. The combined catalog builds on existing cooperative practices, including shared purchasing, especially of scholarly monographs — that is, books by scholars that plumb the depths of a specialized academic subject — and shared licensing of electronic databases and online journals. 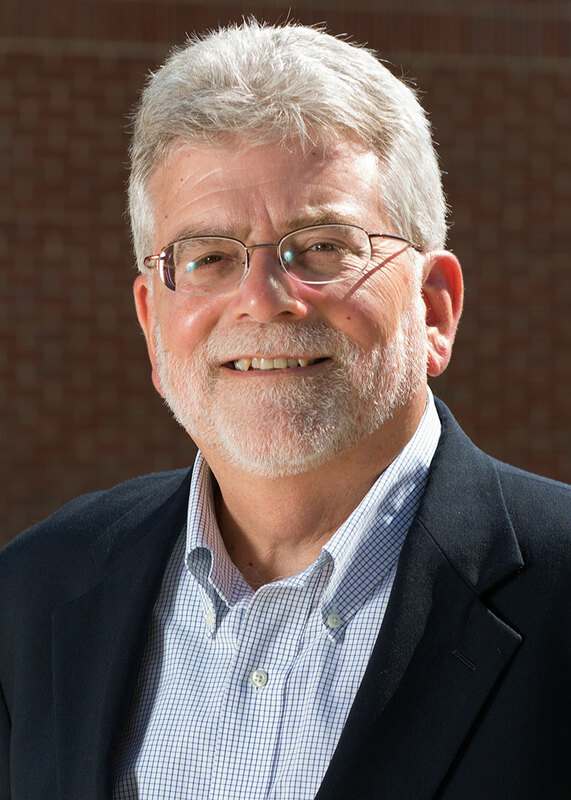 “The new database enables our colleges to improve service, reduce duplication of effort and reduce operating costs of the catalog,” says Gene Wiemers, vice president for information and library services and librarian of the college. Wiemers praised the work of dozens of CBB staff members who teamed up on the project over many months, calling attention to the “the expert leadership” of Sharon Saunders, Bates associate librarian for systems and bibliographic services. Beyond CBBcat, the refreshed site will also feature a robust new search engine called LibrarySearch+. This engine allows users to go beyond CBB content to include the library’s online journals, newspapers and article-indexing databases as well as other open digital collections and open-access archives. Users can limit, modify and define search results in much the same way as on an e-commerce site such as Amazon. Since the books we’re talking about are primarily in print, the most visible end result of CBB cooperation — the interlibrary loan — still occurs in the real world of bricks, mortar and highways. These days, a commercial service managed by the Maine State Library offers one-day pickup and dropoff service at the CBB colleges and other Maine libraries, so there’s no long wait for books to arrive. Each act of CBB cooperation is “all about opportunities,” says Associate Librarian Laura Juraska. That service is offered five days a week, and the CBB libraries add Saturday delivery, so students can have the books (or CDs, DVDs and sometimes vinyl LPs) they need by Sunday. “That’s traditionally the busiest day for college libraries,” says Juraska. CBB cooperation started with reciprocal borrowing privileges in 1977. 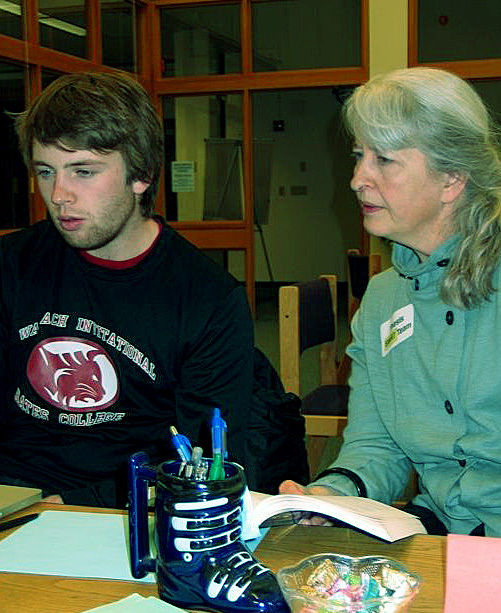 It’s has grown to embrace online sharing, including partnerships with Maine InfoNet, a collaborative of Maine academic, public, school and special libraries; and NExpress, which connects Bates to liberal arts college libraries in Massachusetts and Vermont. The work to expand collaboration and sharing has been supported by two major grants to CBB libraries from the Andrew W. Mellon Foundation.